Very much enjoyed by all participants last November we’ll offer this workshop again at my Help Your Health Studio in February (Details below). As space is limited don’t hesitate to sign up soon. First come, first serve. 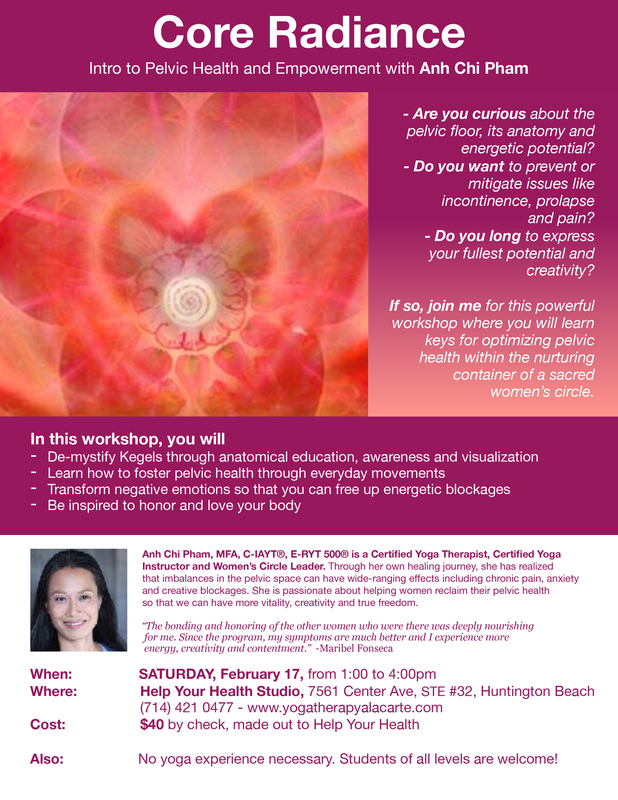 The workshop is brought to you by Anh Chi Pham, a certified Yoga Therapist, Yoga Teacher and friend of mine.